Jess Park is a California-based artist whose work can be best described as playful and colorful. Her loose watercolor and modern calligraphy work pulls inspiration from the colors and shapes of beautiful objects in the world around her. Jess has worked with well-known companies such as Princeton Brush Co., Sakura of America, and Strathmore, but also enjoys creating custom artwork for private collections. Jess is a predominantly self-taught artist. 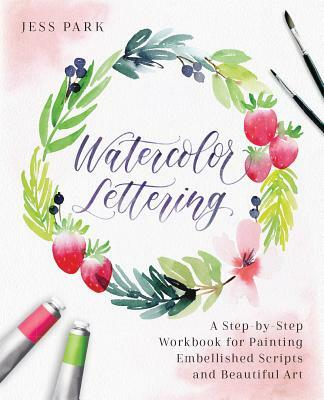 Realizing how difficult that can be, she enjoys teaching and encouraging budding artists through social media, her lettering guides, and online and face-to-face workshops. Jess' message has always been to have fun while creating, and she spreads this positive message through her work that can be found on Instagram.